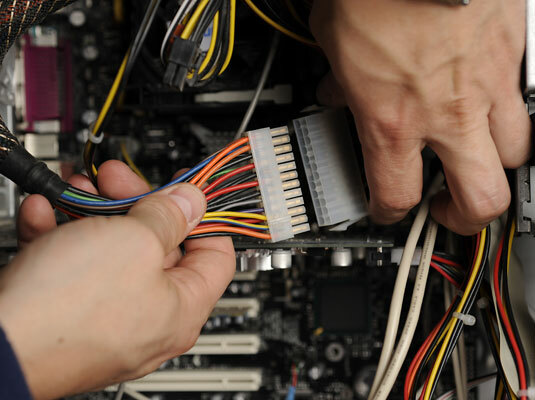 Check to ensure that all the wires and cables have been properly reconnected. Don’t leave any wires dangling! 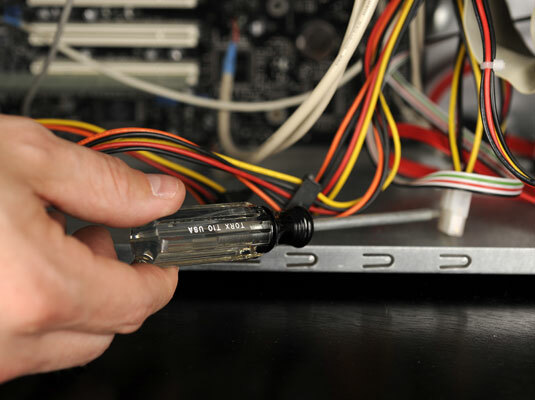 Leaving that screwdriver in the console can short out your PC. Some cases require you to reattach the cover by screwing several screws into the lid, others just pop back together. It’s a pretty safe bet that whatever steps you took to open your PC’s console case, you can reverse the technique to get it closed again. Reattach the power cord to the console, then plug the power cord into the wall. Turn the computer on. 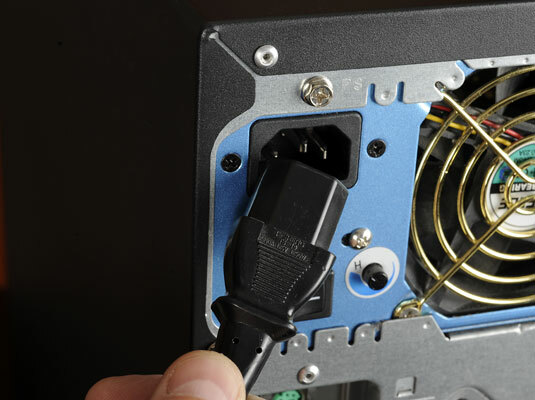 Attach the power cord to the PC before you plug the other end into the wall outlet. Press the power button on your PC’s console.